Conversion Support lets you brand your live chat window with a logo and lets you choose a color theme of your preference. 3. Click on “Customize Chat Window”. 4. 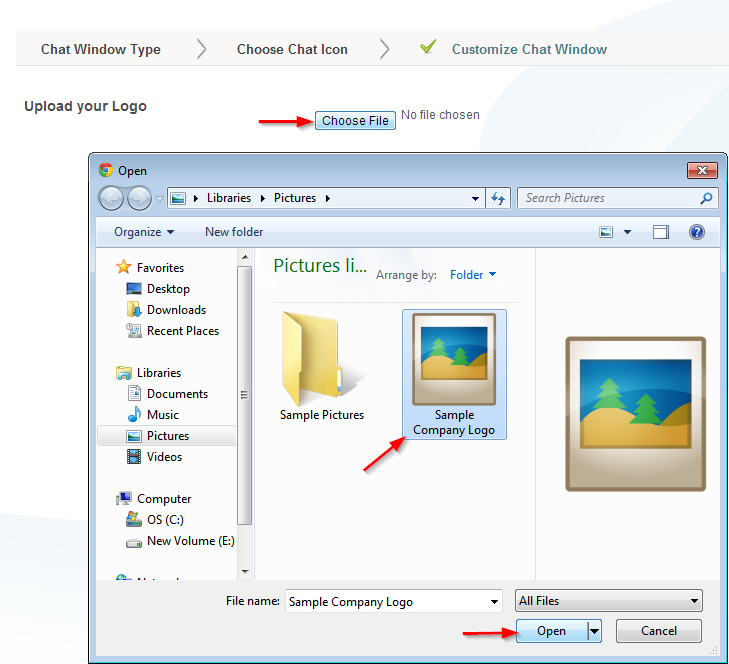 Under “Customize Chat Window”, go to “Upload your Logo” and click “Choose File”. Select your logo and click on “Open”. 6. The logo will be uploaded automatically and should appear on the chat window immediately. 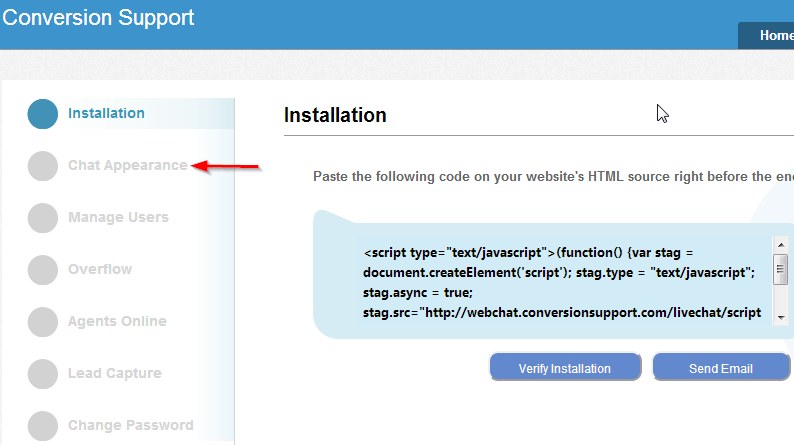 Note: You may want to refresh the webpage or re-login to your Conversion Support account to see the changes. In case that doesn’t work you might have to clear the browser cache to see the changes taking effect. The ideal logo size should be 250 X 60 pixels. If you upload a bigger image, the logo size will automatically be re-sized to 250 X 60 pixel in size.